In the last issue I wrote about options to obtain a High Definition TV signal in your home. The option that gives you the best variety for the most reasonable price is OTT (Over the Top) – streaming services using the internet. A pair of copper wires owned by Bell which originally were for wireline telephony. These wires can also carry separate internet data signals under agreement with Bell. This is called DSL (Digital Subscriber Line) service. Coaxial cable owned by Rogers which is used to provide their television signal as well as internet connectivity. Glass fibre which is currently being deployed by Bell under the trade name “Fibe”. Currently Bell has deployed fibre to their local nodes (the big brown boxes on the corner) but it is still working on getting fibre to individual households. 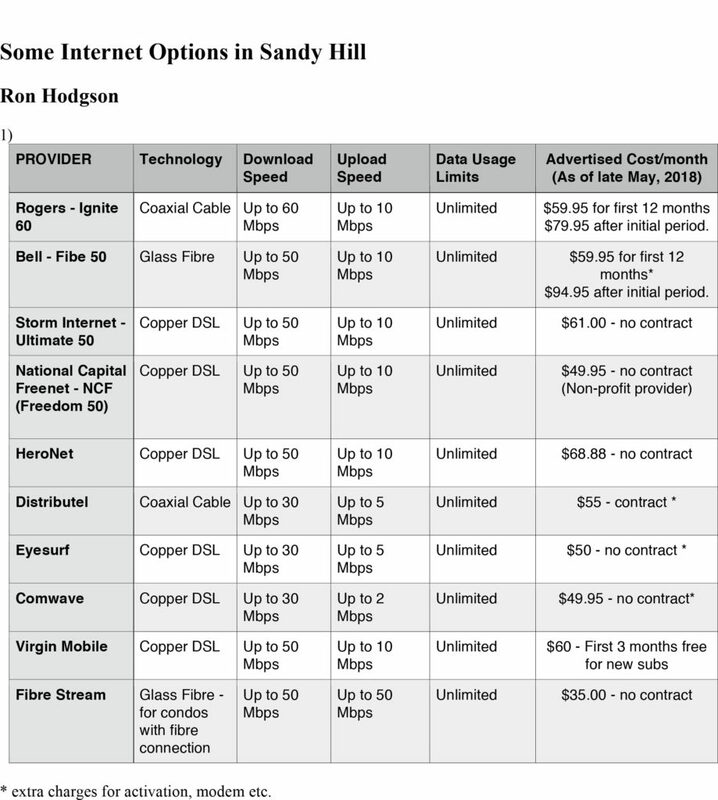 I thought it might be useful to compare some of the internet services providers available to Sandy Hillers. The table below shows what I found when I did a web search and although the results are not definitive they will perhaps give you an idea of the variety of options available to you. I have tried to show comparable plans but this is really just a sampling, as every provider offers a range of internet speeds. You should try to pick the one that best meets your expected household usage needs. And what are those needs, you might ask? Probably your primary use for in-home internet is for streaming audio and video for communications and for viewing or listening to streaming services on televisions, computers, tablets and smart phones. For these you’ll need download speeds of at least 15 Mbps and 300 Gb usage volume every month. If you have several devices or a couple of teen-agers, you’ll need more so I’ve assumed that situation in the average family home. The best initial price rates are reserved for new subscribers but even if you are presently a subscriber don’t be afraid to bargain. If you stand your ground you’ll be put in touch with the “Subscriber Retention” manager who may offer you a better rate or shorter contract. The following table shows some of the primary service providers in our area. 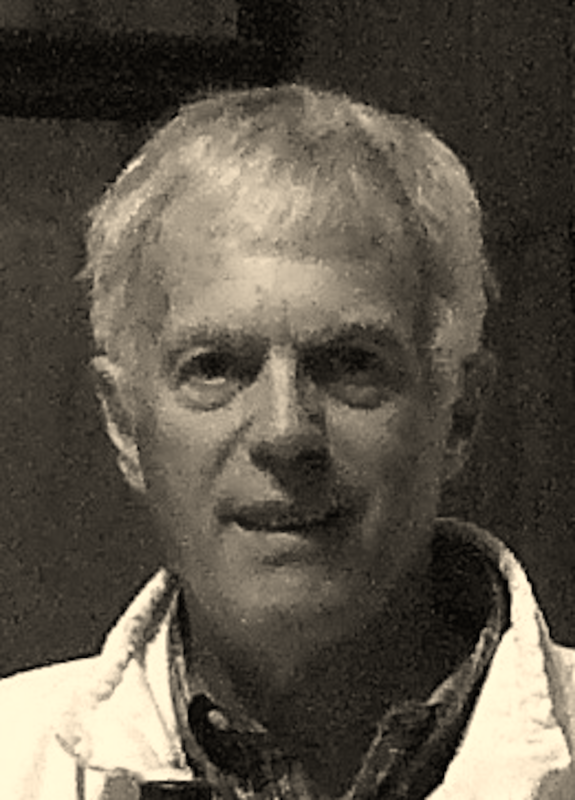 I don’t claim that it’s complete – you should do your own research – but it gives you some names and comparisons as a starting point.